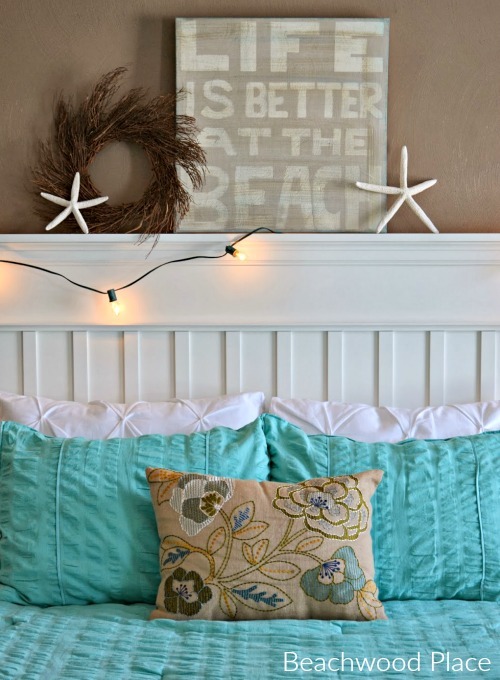 Turn your Bedroom into a Coastal Beach Oasis with these above the bed wall decor ideas. 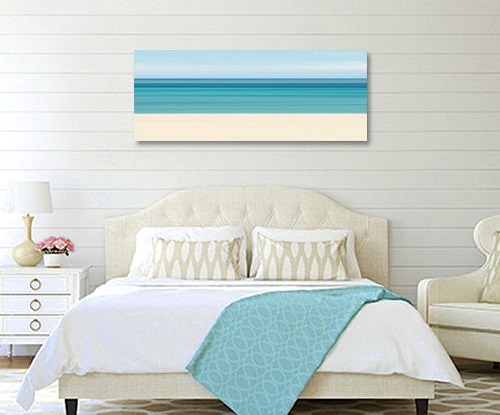 While Coastal Wall Art, be it a single piece or a grouping, is the most obvious choice (you can’t argue with a beautiful beach painting or ocean photograph that captures the feeling of the beach and shore experience), there are other above the bed wall decor ideas to please your inner beach bum. 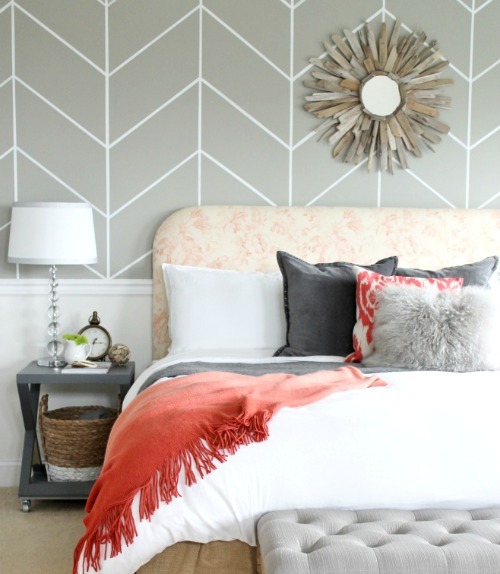 Here is a selection of art and decor ideas to inspire you -Shop the Look & DIY! 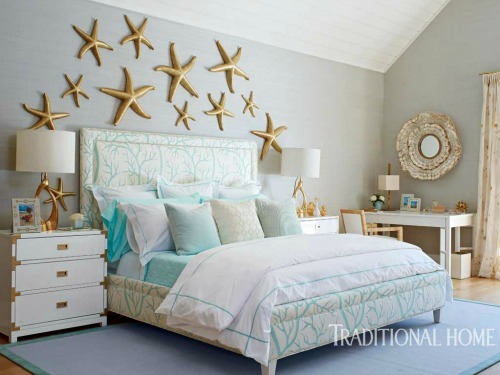 Choose something eye catching like the starfish illustrations in a bedroom by Lillian August Design. They tie the room together beautifully. mounted on burlap in rustic wood frame shadow boxes. 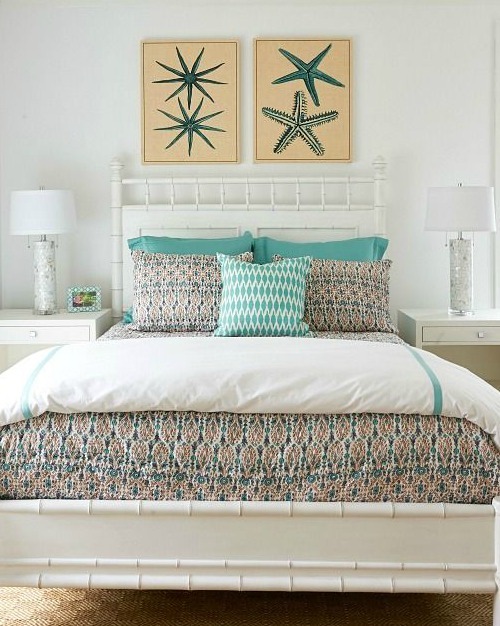 To fill the wall above the bed with giant starfish sculptures (or any kind of sea life sculptures) in different sizes creates quite a dramatic effect. Seen in the 2015 Hampton Designer Showhouse. Oyster Shell Mirrors brighten up a bedroom nook and make for a stunning focal point. Idea via GCI Design. A gorgeous DIY Driftwood Mirror by City Farmhouse. As seen in a Classic Coastal Cottage. 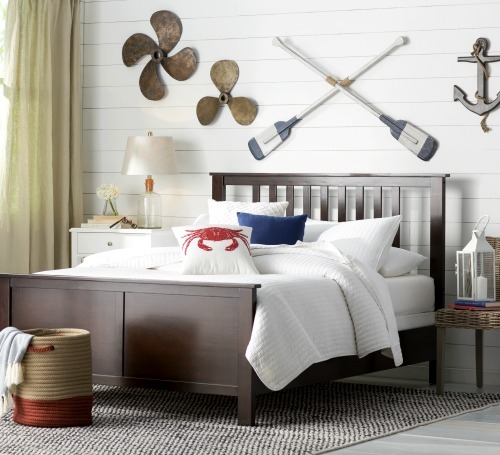 This allows for coastal and beach themed displays that can easily be change out. or be installed above the headboard. as demonstrated in a bedroom at Beachwood Place. 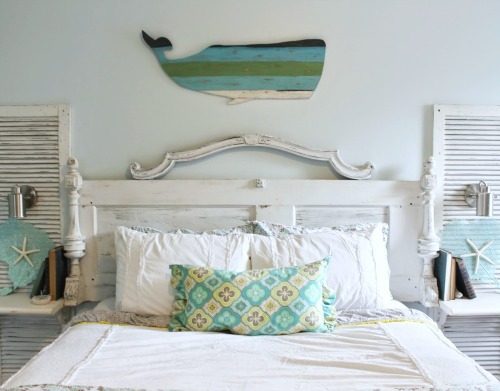 The Wooden Pallet Whale is perfect for this Shabby Chic Beach Bedroom. Several whale designs to choose from as well as other sea creatures. 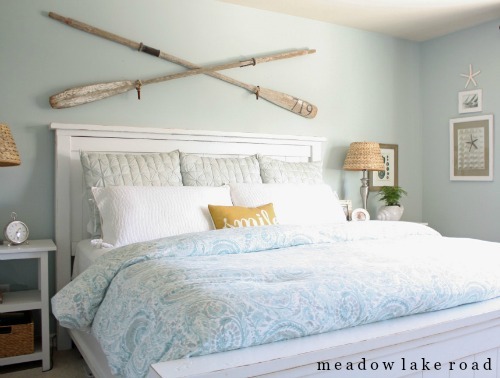 Make use of the entire wall space behind and above the bed. 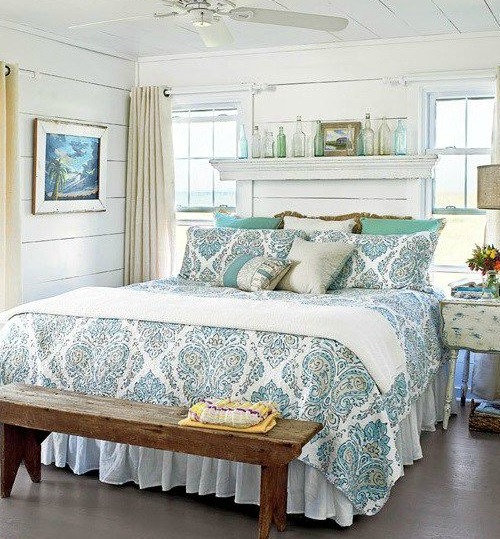 You might also enjoy this round-up of 30 Beautiful Coastal Beach Bedrooms.